Home » Blog » Dentures, only Better! For quite a few decades, dentures were the best solution that dentistry had for tooth loss. When you think about how common toothlessness was just before the 1900s, you see that the option for dentures, regardless of optimal fit or appearance, was a huge leap forward. Today, dentists finally have a suitable option for tooth replacement, one that restores a lot more than the appearance of teeth. 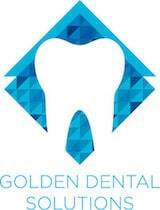 We are proud to offer patients of our Golden, CO office the choice to have their smile rebuilt with dental implants. Hey! If dentures were good enough for Grandma, why aren’t they good for you? We suppose the best way to answer this question is with a question of our own . . . Who said dentures were good enough – ever? The thing about dentures is that they sit on top of the gums. Grandma and Grandpa may have worn them because it was their only option. To keep their dentures in place, they likely had to use an adhesive; and, at that, their teeth may have slipped or rubbed against the gums. According to research, a good number of people who have dentures don’t wear them all the time due to discomfort and poor fit. These issues can be managed with dental implants. There may still be a glaring misperception about dental implants that is keeping you from consulting with your dentist about this treatment. Implants are tiny posts that stand in for natural roots. Each implant is a singular unit. Because of that design, this method of treatment may be viewed as one for solitary teeth. From that perspective, you either get dentures or you get implants. The truth is, many implant cases today involve both implants and dentures. Denture stabilization is one of the most important developments to occur in dentistry in the past several decades. Loose dentures can make it difficult to eat and speak, and they definitely get in the way of feeling confident. Using just a few implants, your dentist can create a firm foundation for your removable dentures. In fact, it is now possible to obtain a fixed denture that stays in place all the time, secured to strategically placed implant posts. Puts an end to the use of denture adhesive. Prevents embarrassing situations of slippage or denture loss. Implants slow the progression of bone loss in the jaw. We can help you feel great about your smile again. Call (303) 277-9600 to learn more about dental implants.